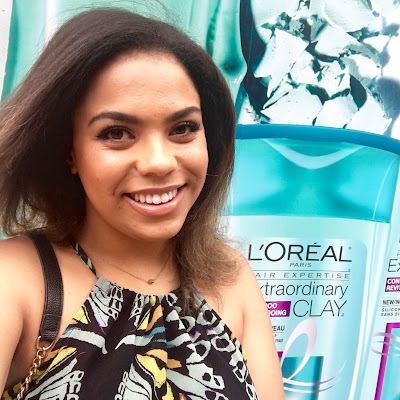 A few days ago I was lucky enough to attend an event at the Eric Del Monaco Salon here in Toronto to try out L'Oreal's new Extraordinary Clay Hair Care! This line will launch August 2016 and is aimed towards those with normal to oily hair. "Break the cycle of oily roots and dry ends with L'Oreal Paris' 1st clay-based haircare ritual that purifies the roots while leaving the ends soft and flowing." 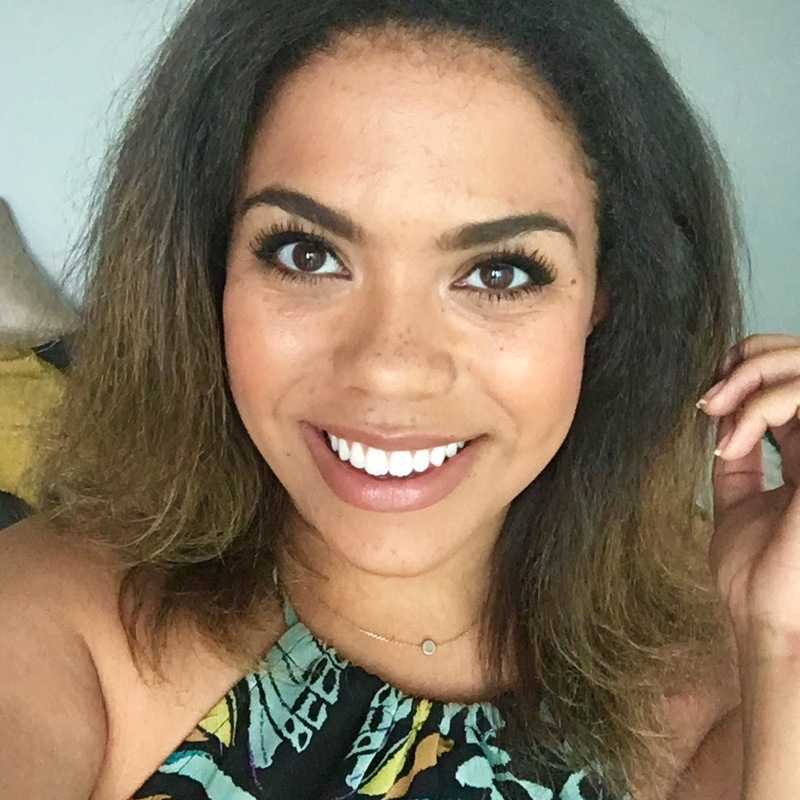 I am a huge fan of clay on my face, so I was really intrigued to try it out on my hair. I however do not have normal or oily hair - it's actually quite dry due to the fact that it's curly, chemically relaxed and I have highlights! This made me even more curious to see if it could still work for me. L'oreal take over at Eric Del Monaco's Salon! He is the Official Hair Artist and Colourist for L'Oreal Paris in Canada. To me, clay seemed like an odd option for hair care. I use it to draw out impurities in my skin, and even absorb some of the oil. This however makes sense for those with a more oily scalp. Many people end up over shampooing their hair to combat oil so this can lead to dry ends. This clay based hair care line is meant to balance the battle between the two. Kaolinte (white clay): A light clay that absorbs oil and purifies roots. Argilane (green clay): Used in many soaps. Helps to cleanse and absorb water. Montmorillonite (blue clay): Water absorbing to help with optimal hydration. There are 3 steps in the process, starting with the mask! 1. 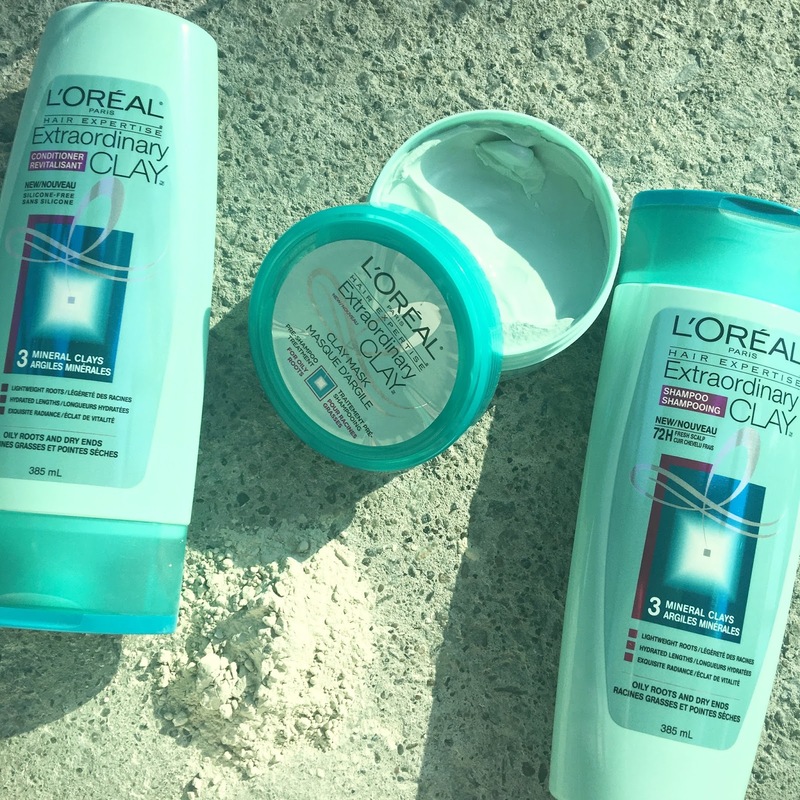 L'Oreal Extraordinary Clay Pre shampoo Treatment (clay mask): 30% pure clay. Apply to roots and scalp prior to shampoo and conditioner. Leave for up to 5 minutes. This will absorb oil, along with lift the roots. 2. L'Oreal Extraordinary Clay Shampoo: Silicone-free. Cleanses the scalp and hair for three days of freshness. Below is NOT a good angle, but I had to show you the process! 3. L'Oreal Extraordinary Clay Conditioner: Silicone Free. Coats hair to condition without weighing down. Overall I think this is a super cool and innovative product. I noticed that my hair felt shiny and light when I left the salon so I can't complain about that! I didn't lose any volume in my hair either, when I get a blow out it can look sad and flat on my head but not today - it looked great! As a dry haired girl it won't be something I reach for every time I go to wash my hair but I love the mask and will definitely use that to clarify my hair when it gets overloaded with product. Also important to note, this stuff smells great - a super fresh not overpower scent. If you have normal to oily hair I highly recommend! I think this could be a great addition to your hair care routine to help manage your oil without over drying. I am on day 3 hair and I have added no extra product and it does not feel dry or oily. Thanks to L'Oreal and the team at Eric Del Monaco's Salon for having me at this event! Let me know below if you plan to try.